There's something heartwarming about a homemade bowl of soup especially after a busy day in an Atlanta apartment. Coming home to the fragrant aroma warms both our hearts and souls. This easy, make-ahead recipe can either be made in the crock pot and allowed to simmer all day, or made in one pot on your stovetop. Team a bowl with a grilled cheese sandwich or top with homemade croutons for a wonderful meal any time of the year. This recipe is good to go or personalized to your individual tastes. Reduce heat to low and simmer 15 – 30 minutes. 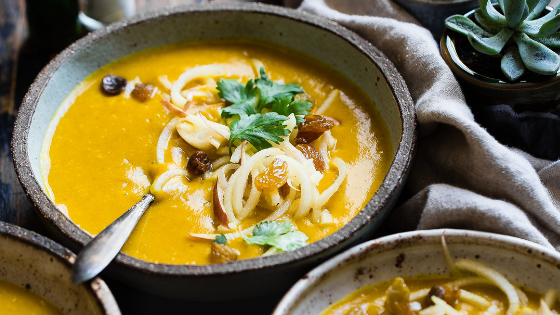 The longer the soup simmers, the flavors combine for a more flavorful soup. Creating delicious recipes at home is a smart way to save money while enjoying quality time in your 2460 Peachtree Atlanta, GA apartment. Contact us today to see how our gorgeous kitchens are perfect for trying new recipes and relaxing with a bowl of soup any time of the year.